Taken during an amazing day in the Serengeti. We just missed seeing the actual kill, although others in our group did. 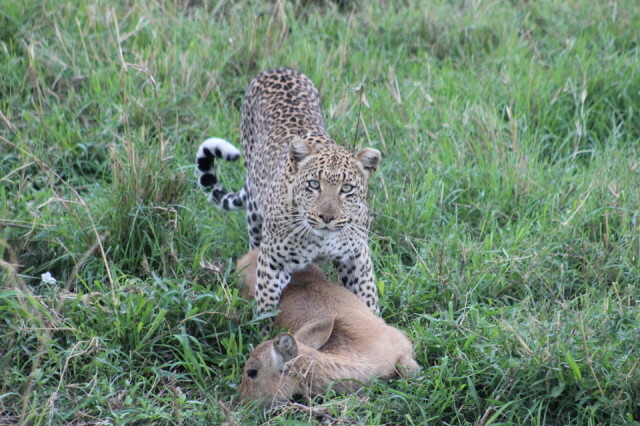 It was possibly due to their noise that the leopard took the impala behind a bush, and luckily straight into my eye-line. The leopard looked up for just a couple of seconds, thankfully it was long enough for me to get a couple of pictures.